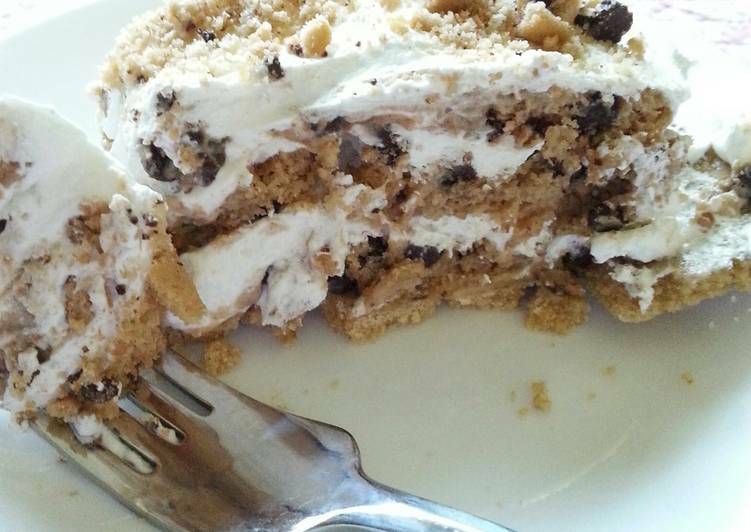 What’re your thoughts on a No-Bake Chocolate Chip Pie? Because we LOVE it! Try out my twist on this scrumptious and chocolate-y pie. This easy and delicious dessert recipe is perfect for any occasion. Dip 8 cookies in milk, place in a single layer in graham cracker crust. Top one third of whipped topping. Dip 8 more cookies in milk and place them on top of whipped cream. Top with one third of whipped topping. Repeat layers until gone. Sprinkle the top with crushed cookies, cover and chill. *You can add some much to this, bananas, chocolate syrup, strawberries, etc. Play around with it!